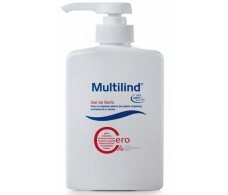 Multilind, is a brand of skincare products manufactured by Stada Laboratories, indicated for atopic, extra-dry and dry. 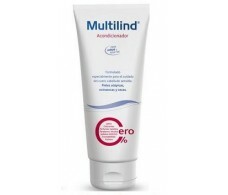 Multilind, comprises two ranges if complement in the treatment of atopic skin, dry and dry extra: Micro Silver and Multilind Multilind daily hygiene. Multilind micro Silver is a range of products indicated for the adjuvant treatment of atopic skin with anti-inflammatory, antibacterial, moisturizing and antioxidant properties. Multilind daily hygiene, a wide assortment of products made by Gel baths, gentle shampoo, ideal for cleaning and complement the daily care of atopic skin rubs phase allergic reactions conditioner. All Multilind products can also be used in the treatment of eczema, psoriasis, and the delicate skin of diabetic. 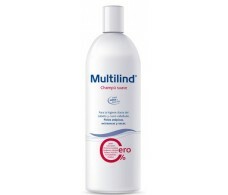 Multilind atopic skin Shampoo 400 ml.